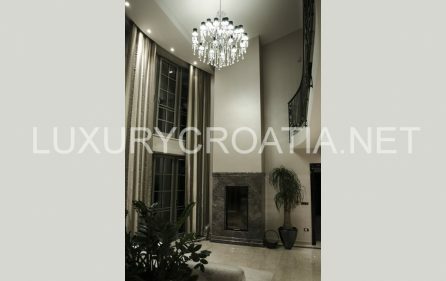 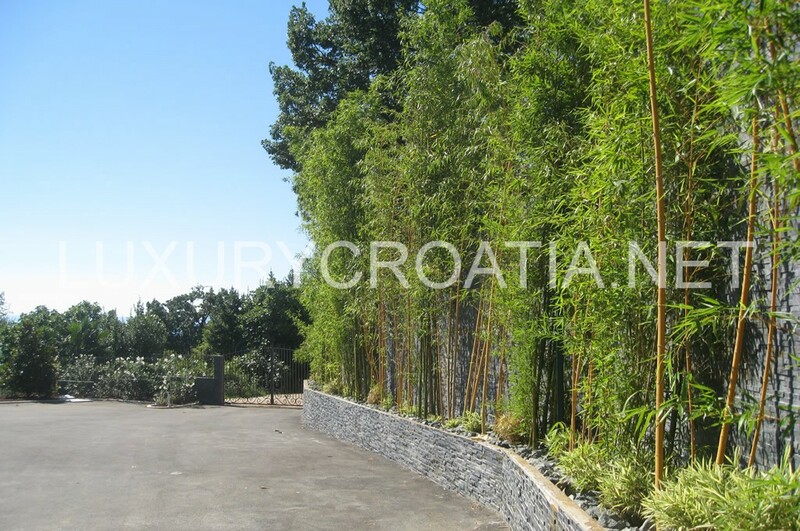 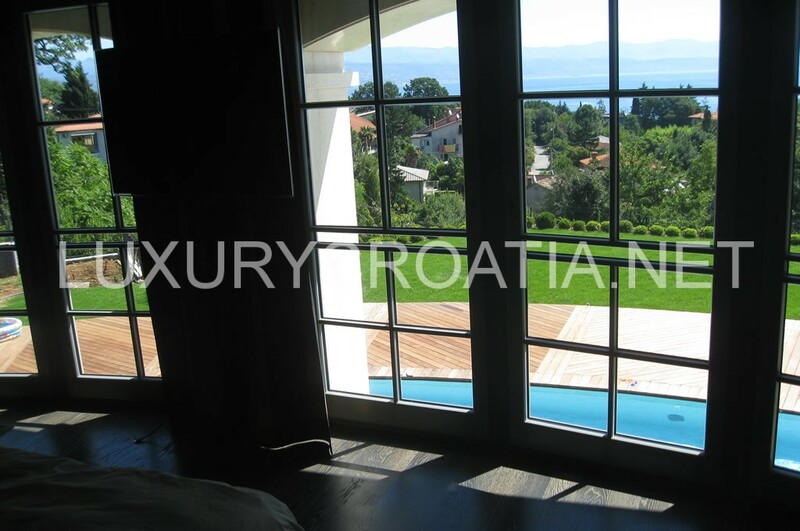 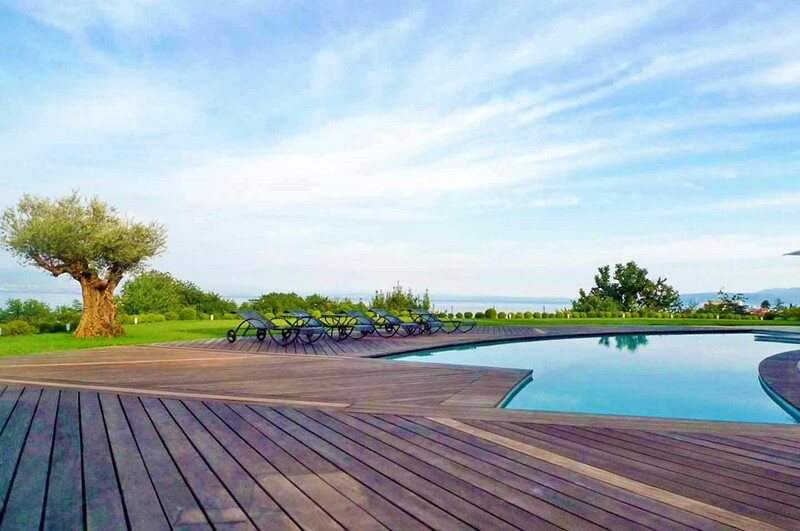 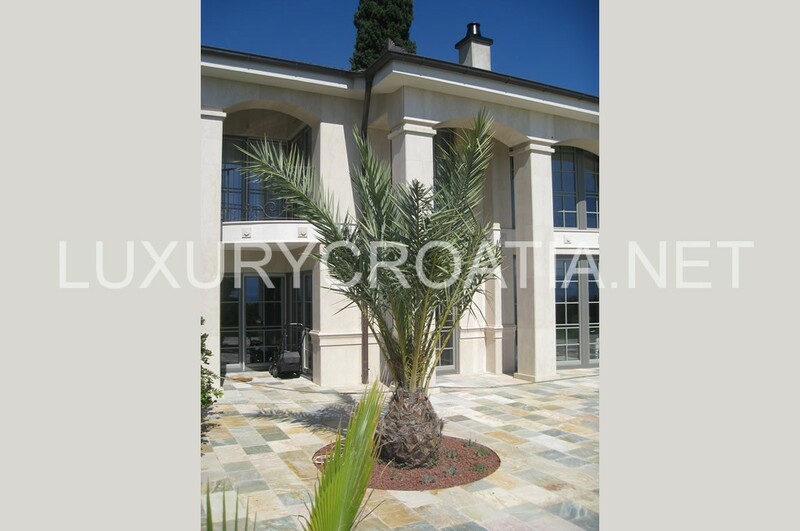 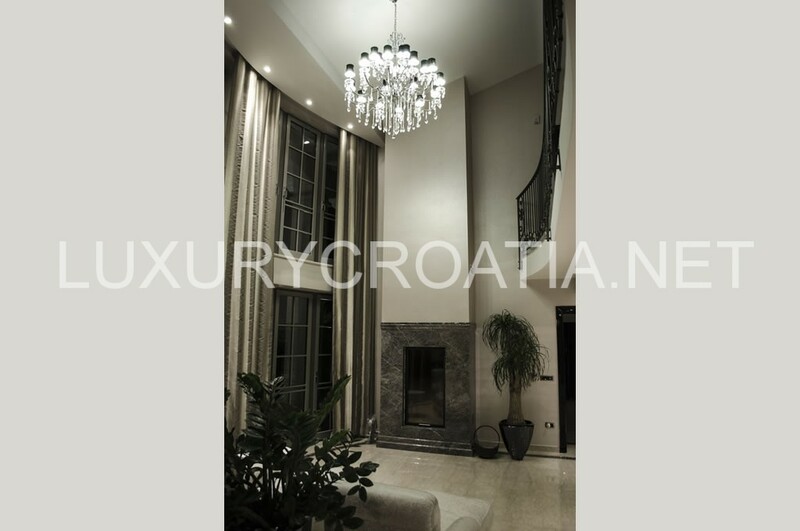 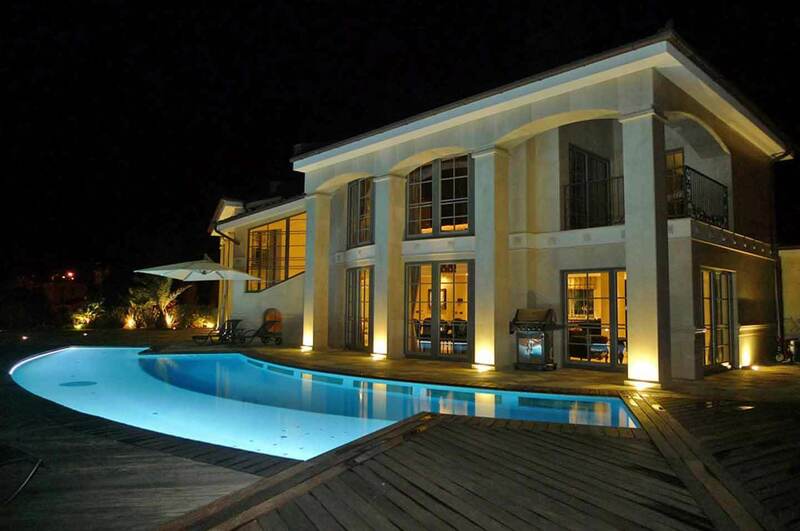 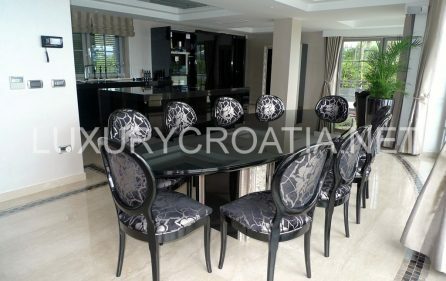 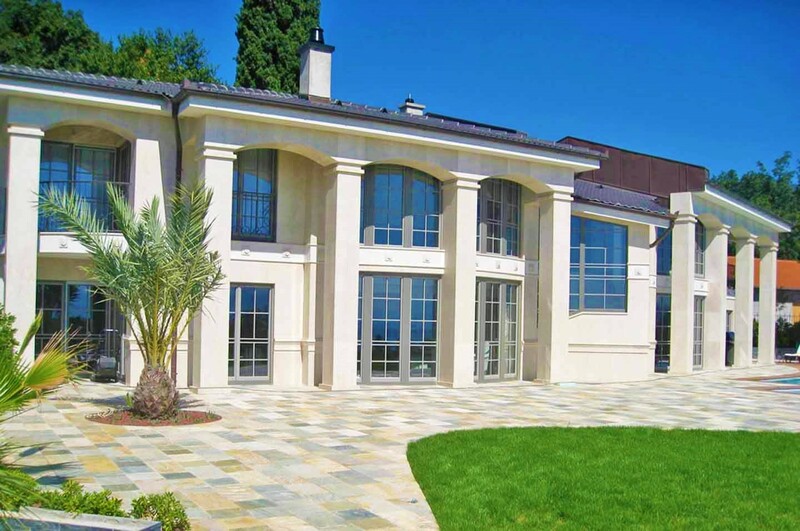 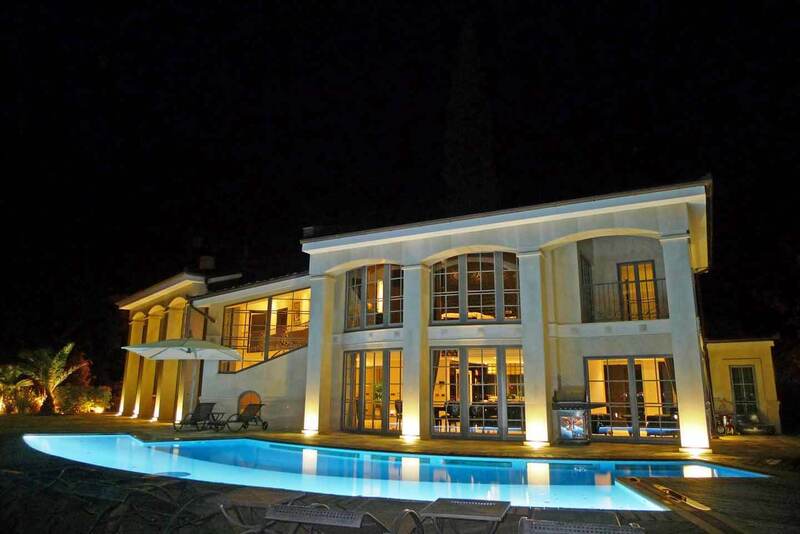 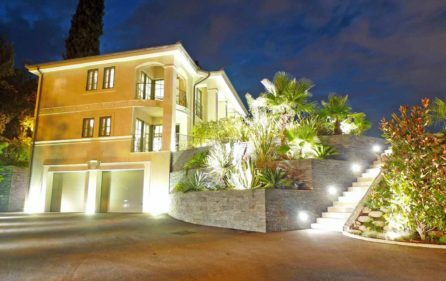 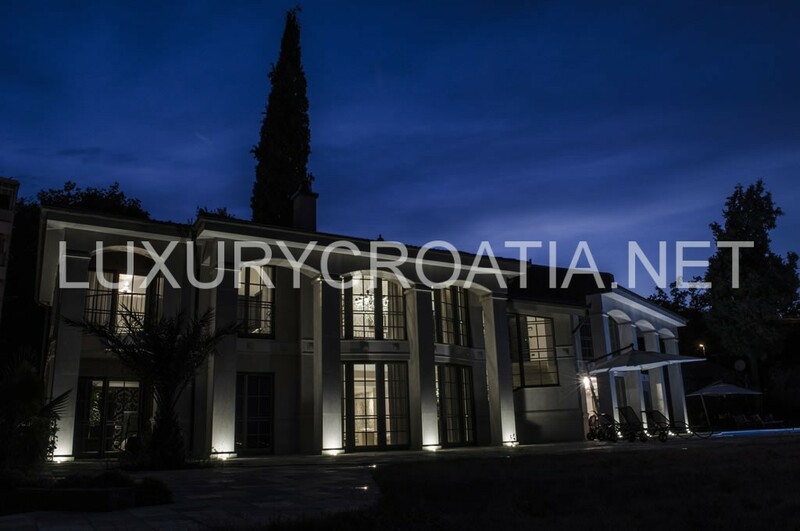 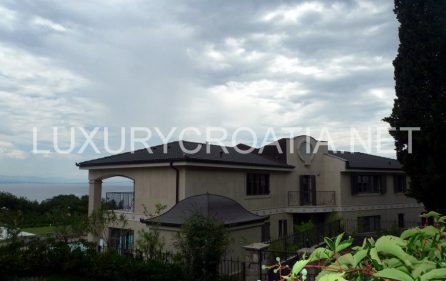 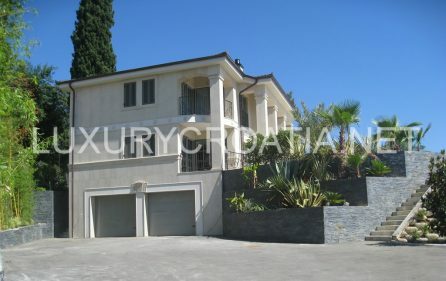 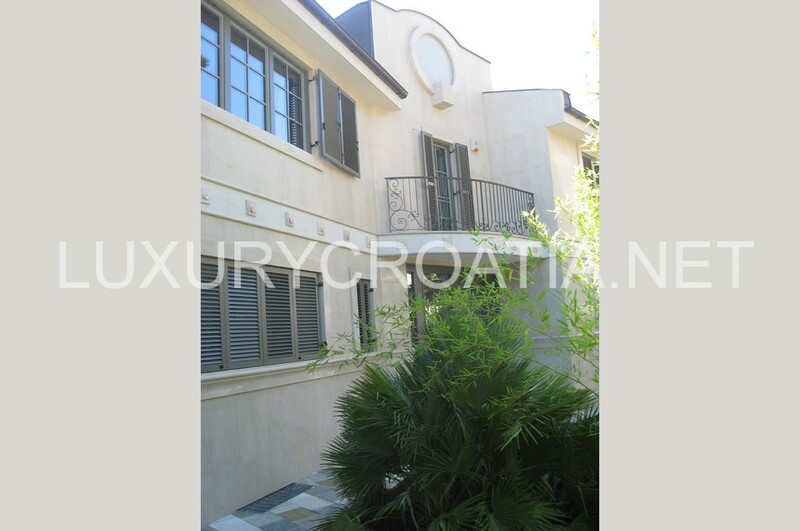 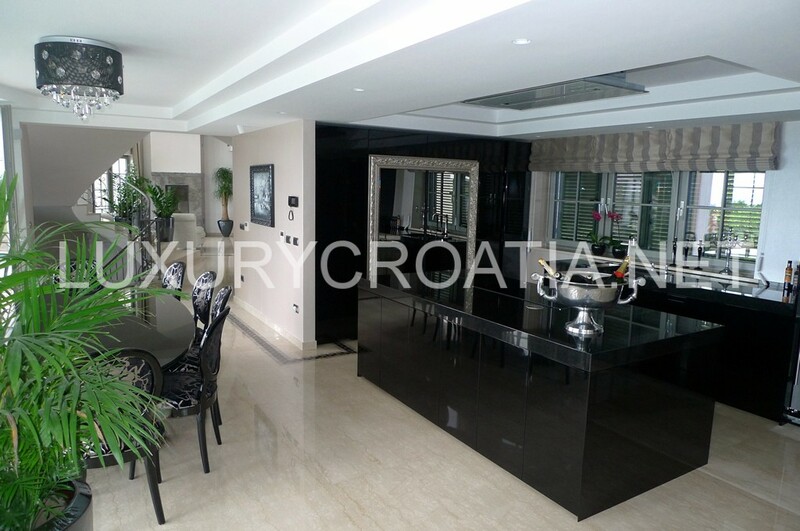 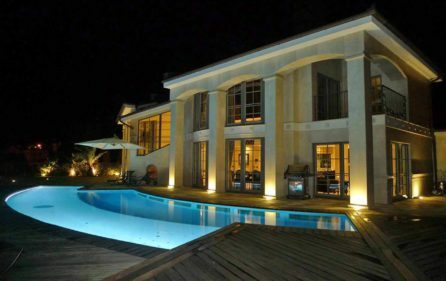 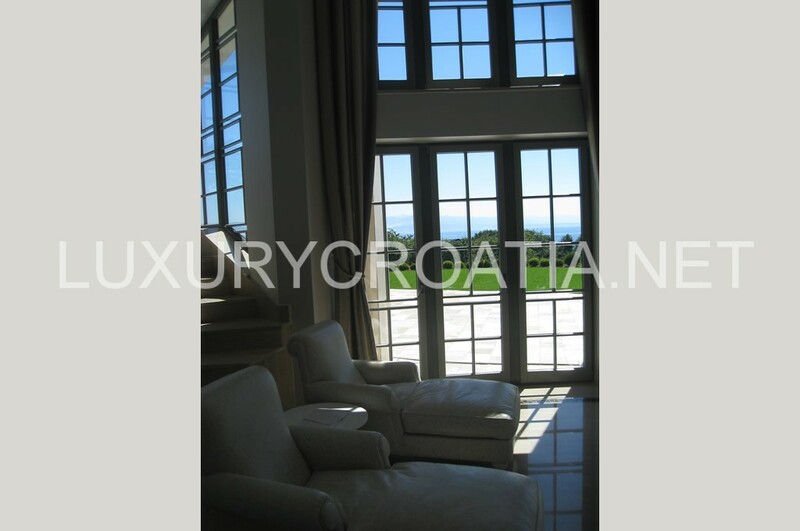 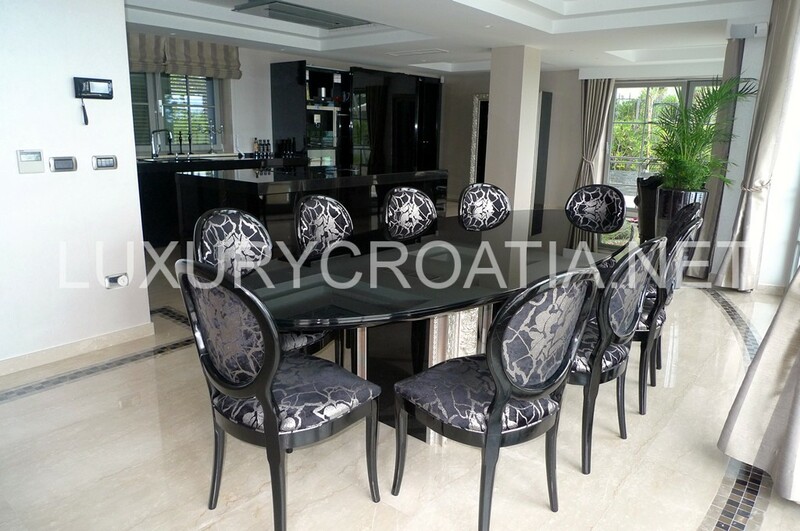 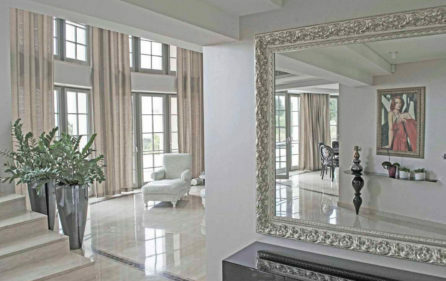 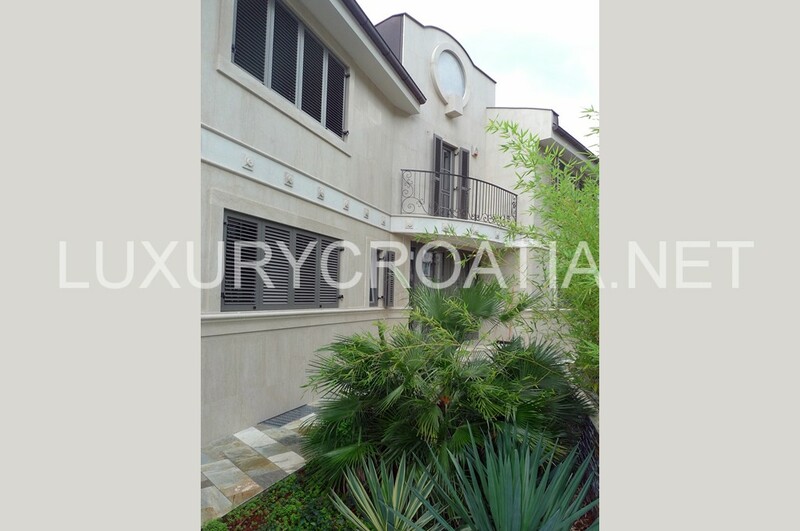 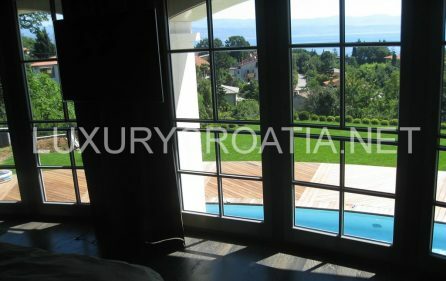 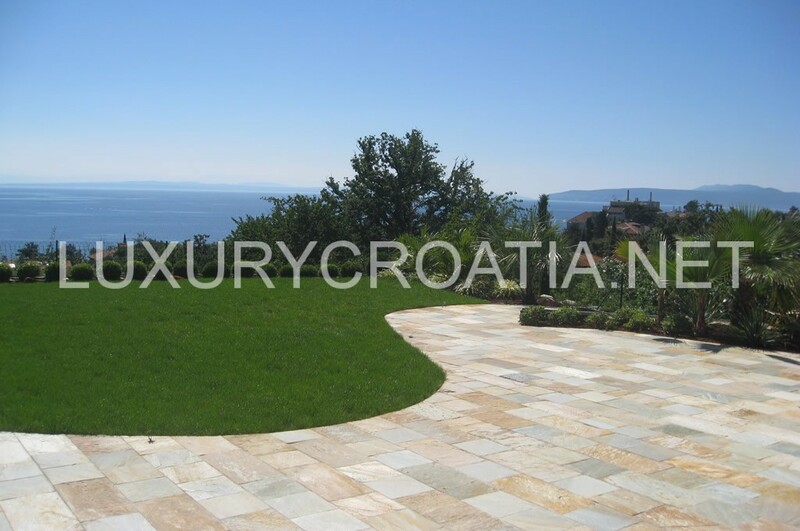 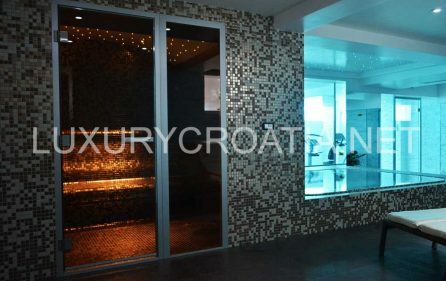 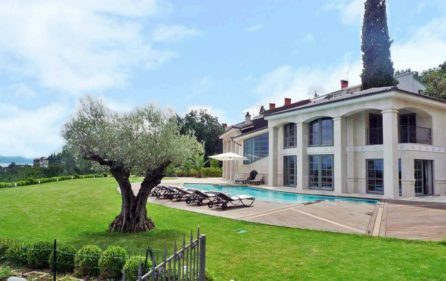 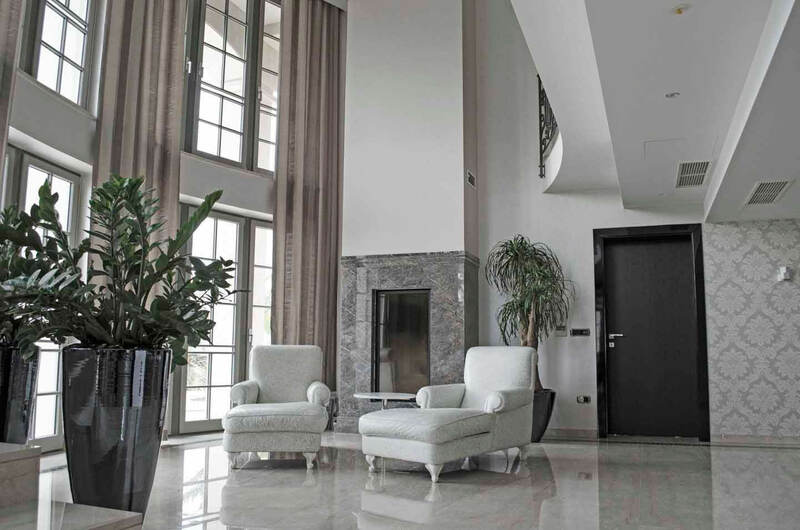 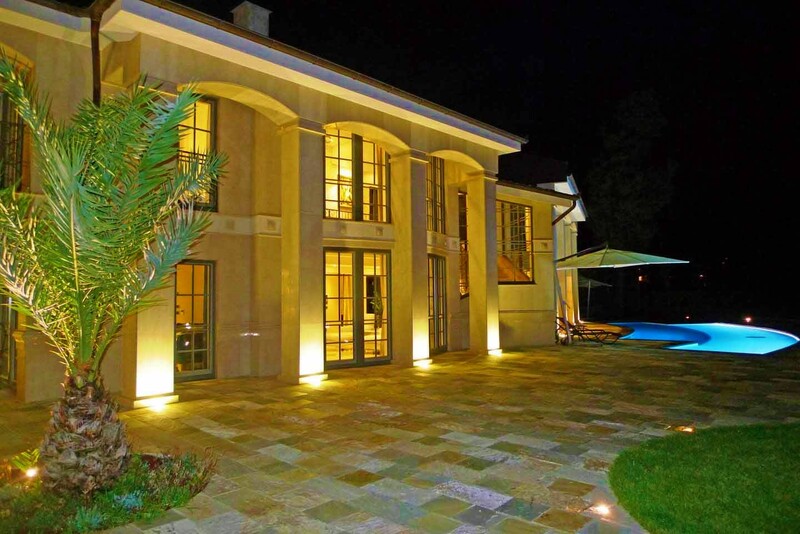 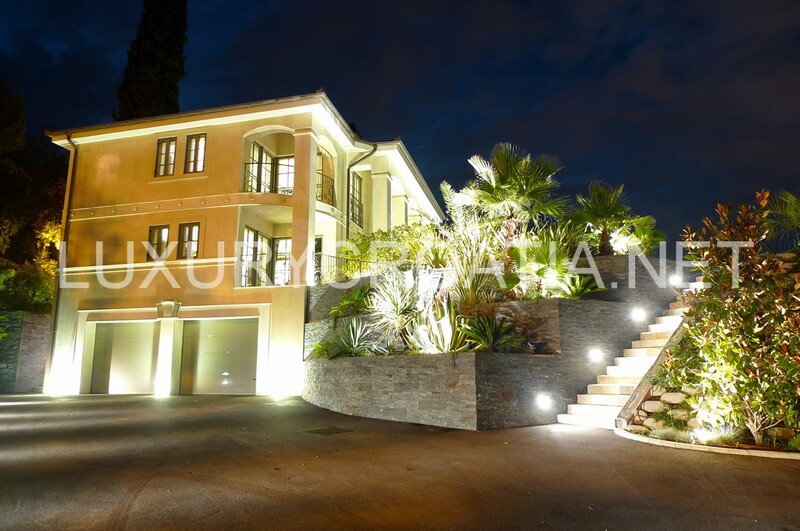 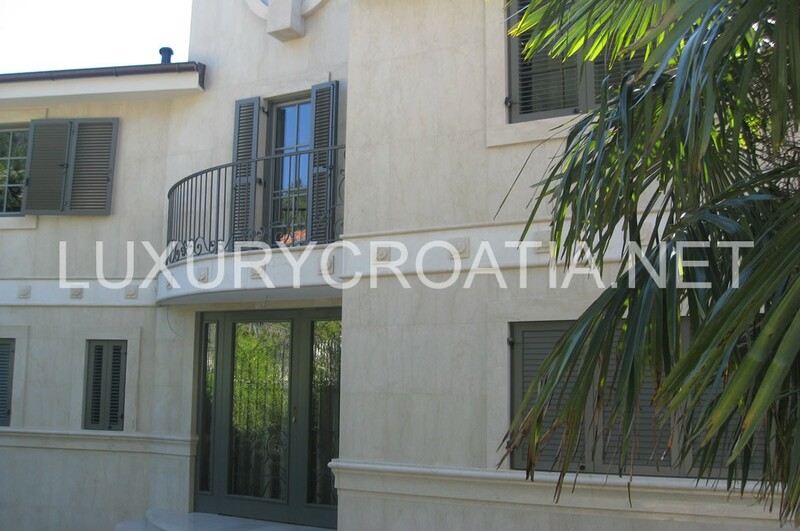 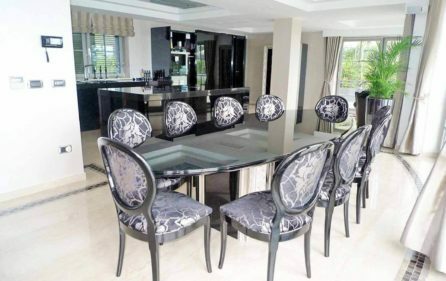 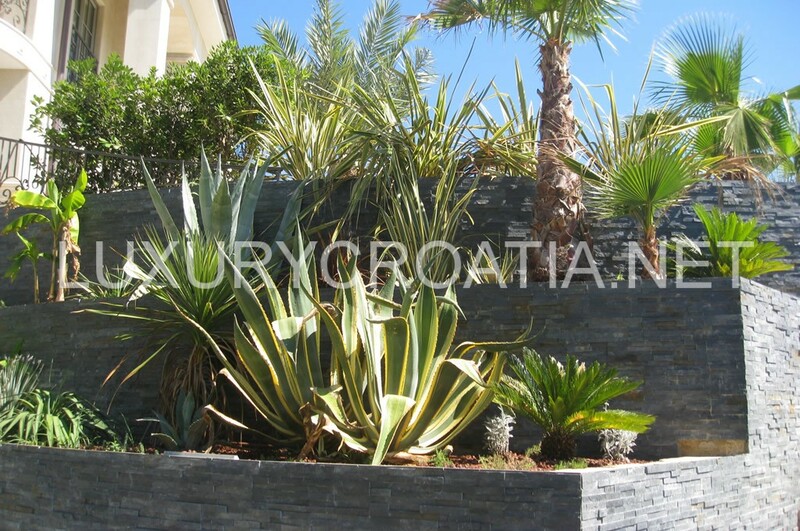 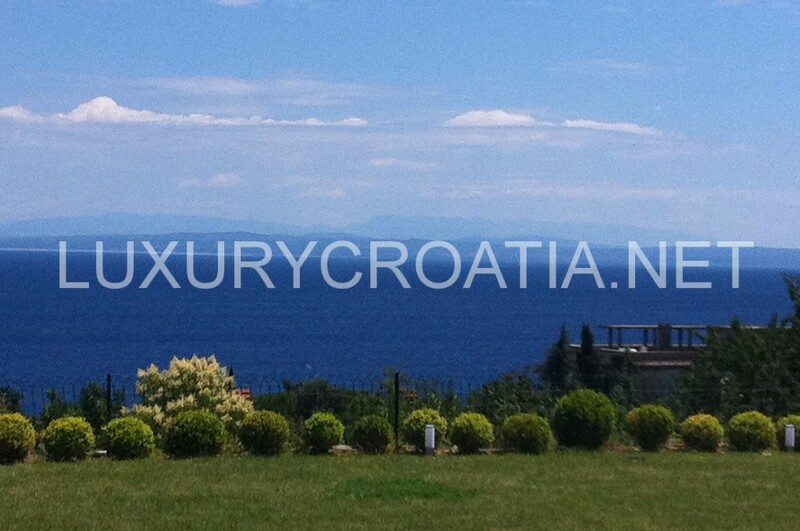 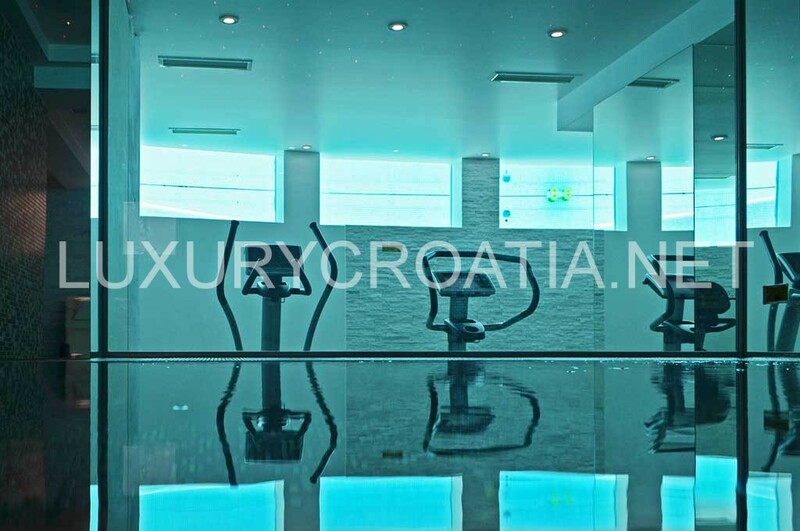 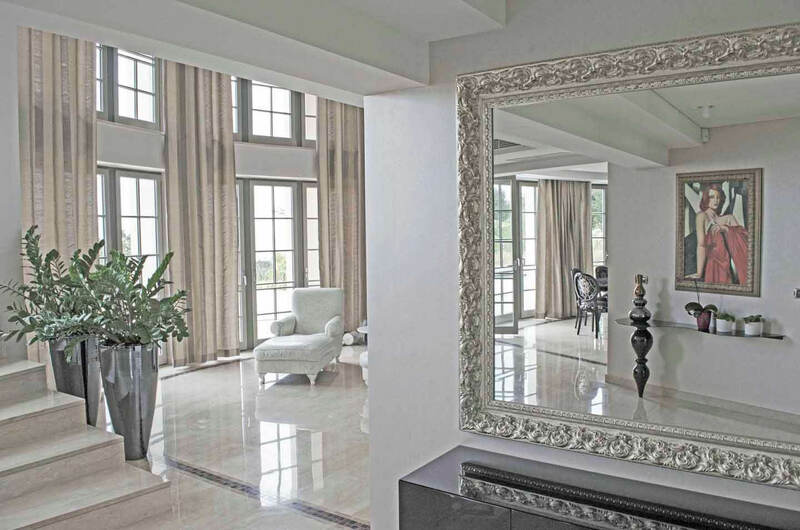 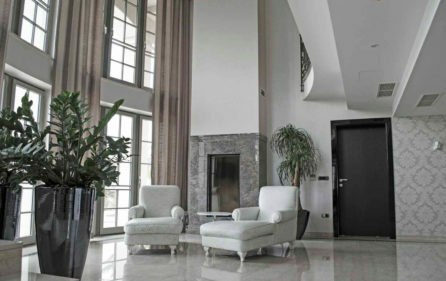 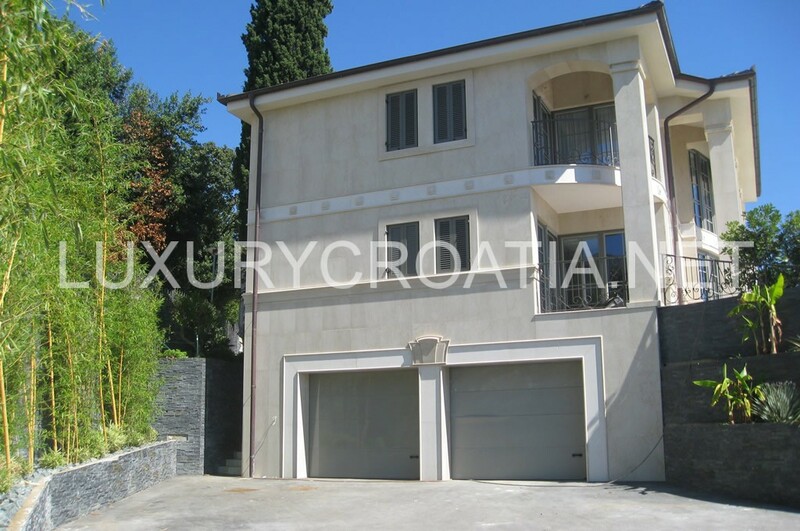 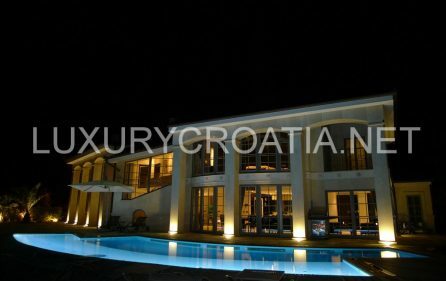 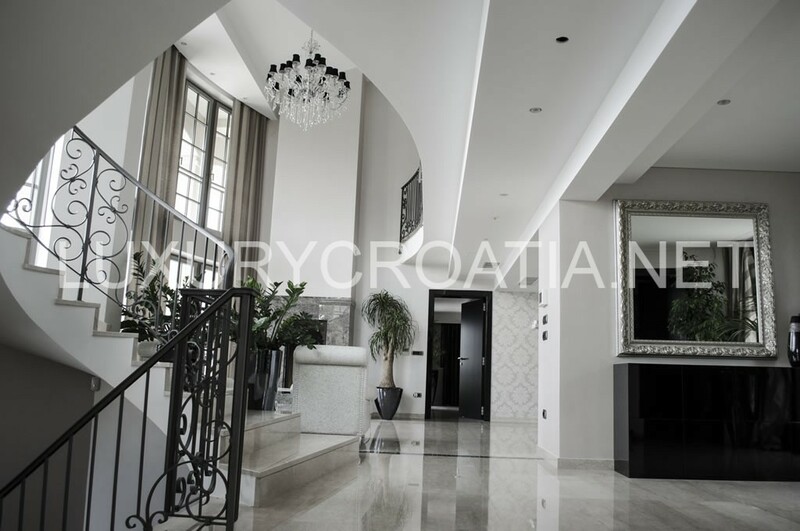 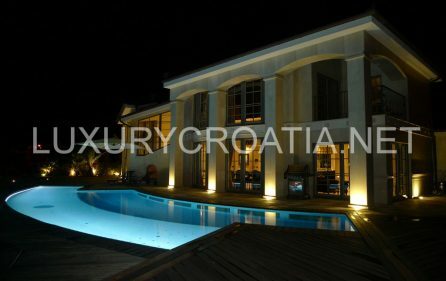 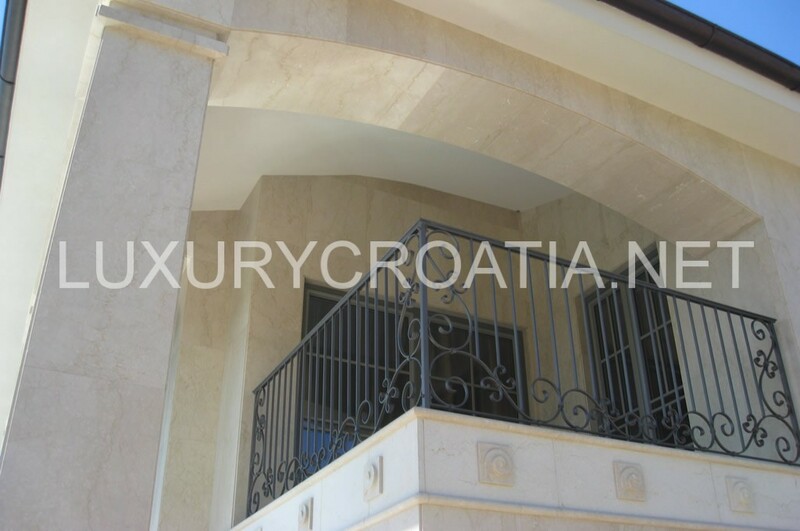 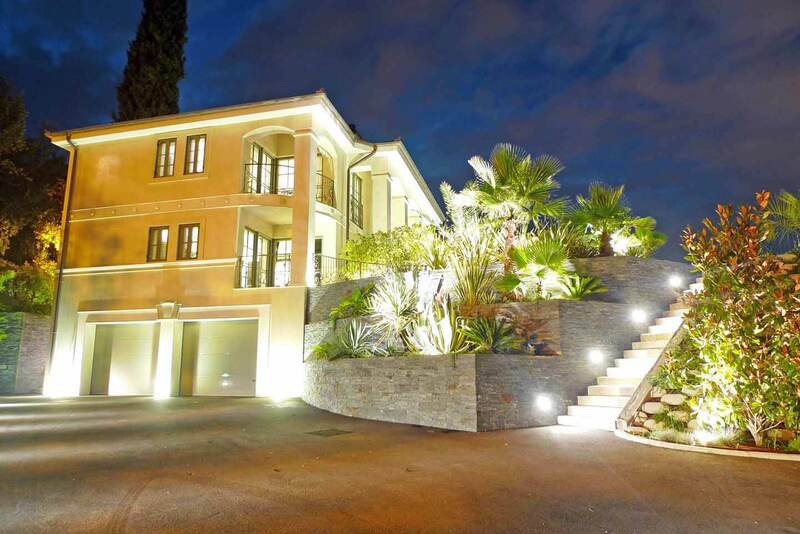 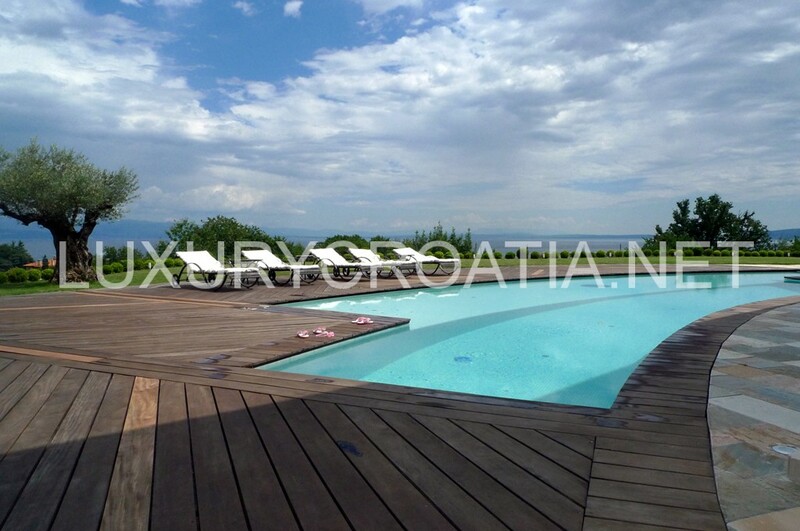 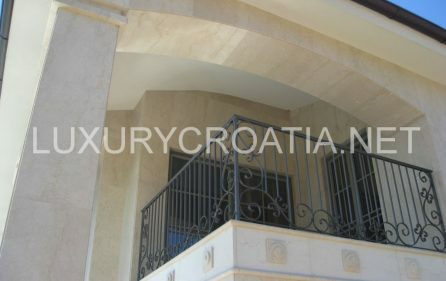 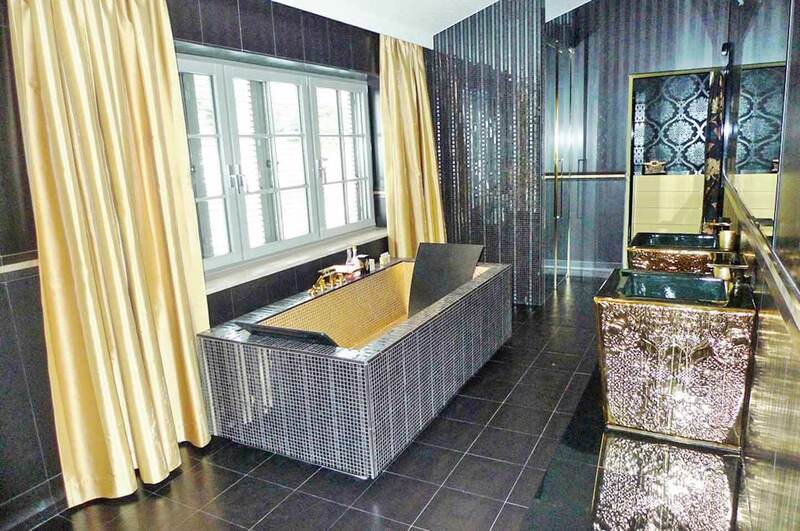 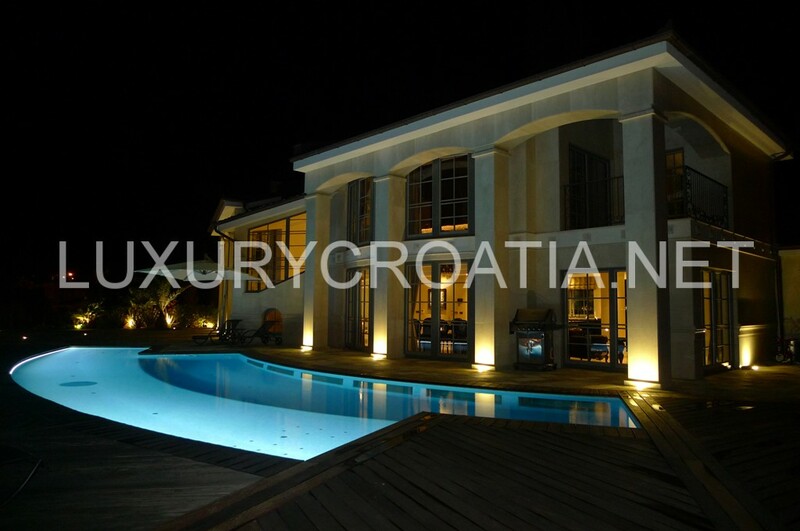 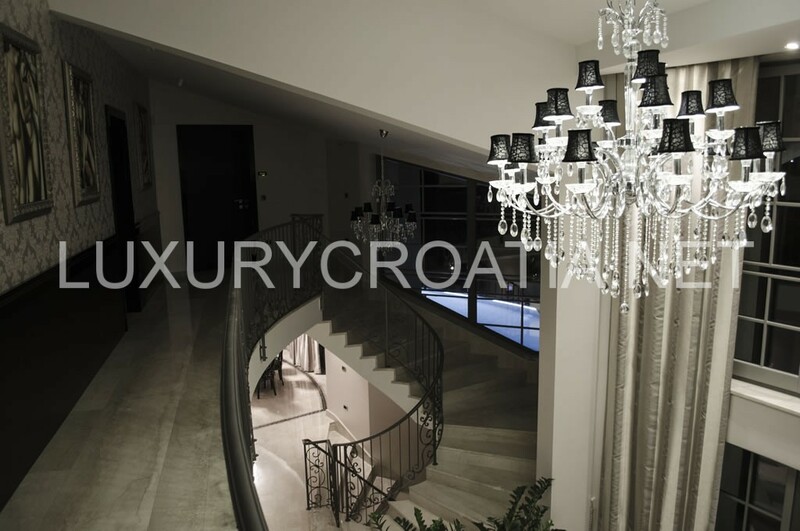 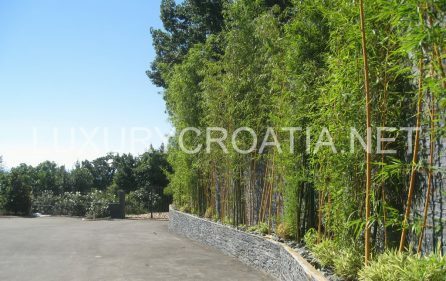 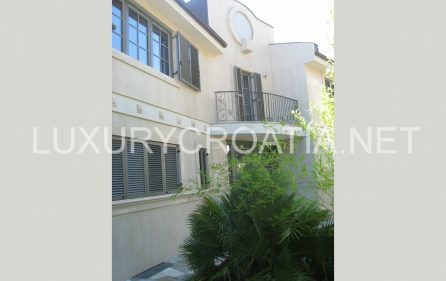 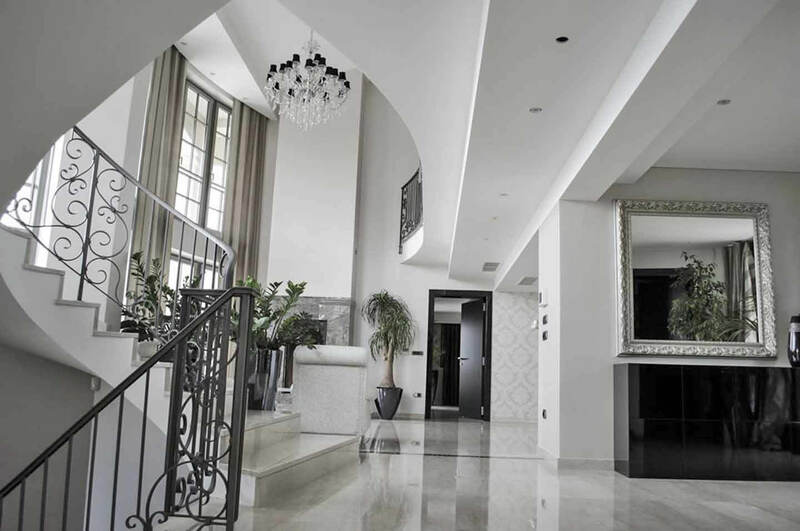 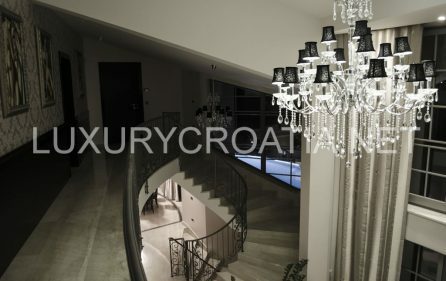 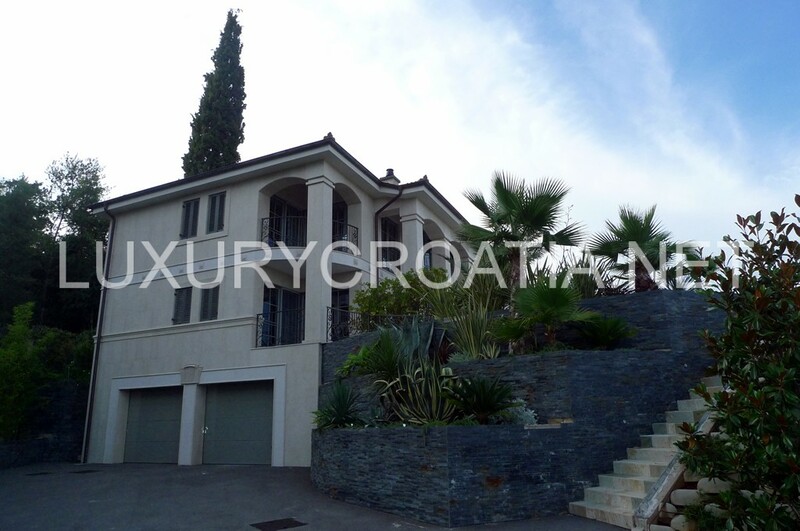 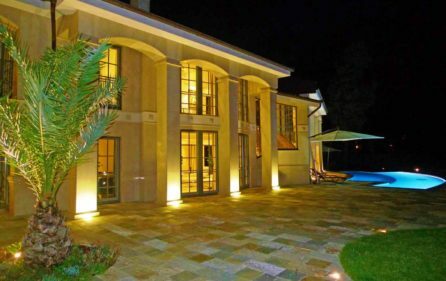 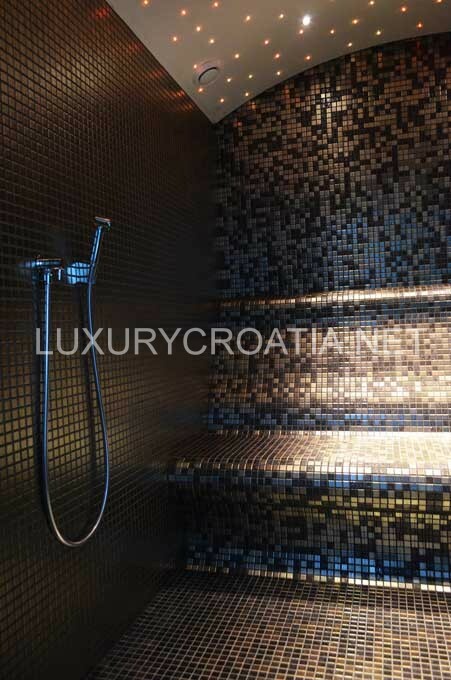 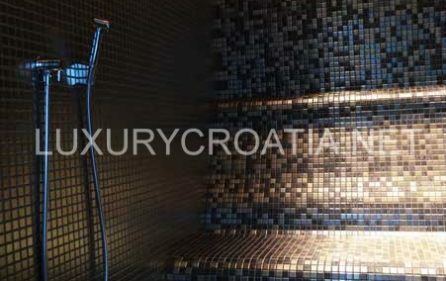 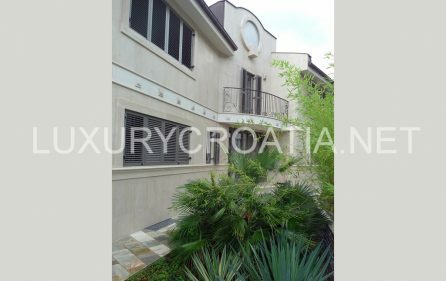 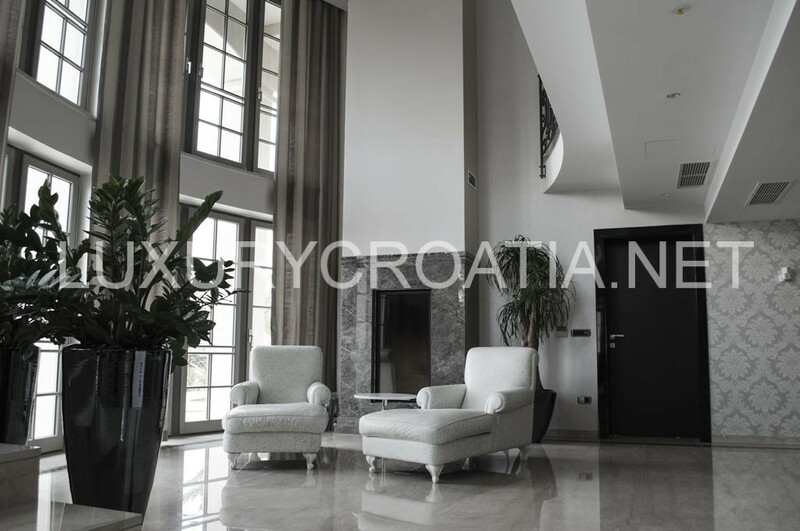 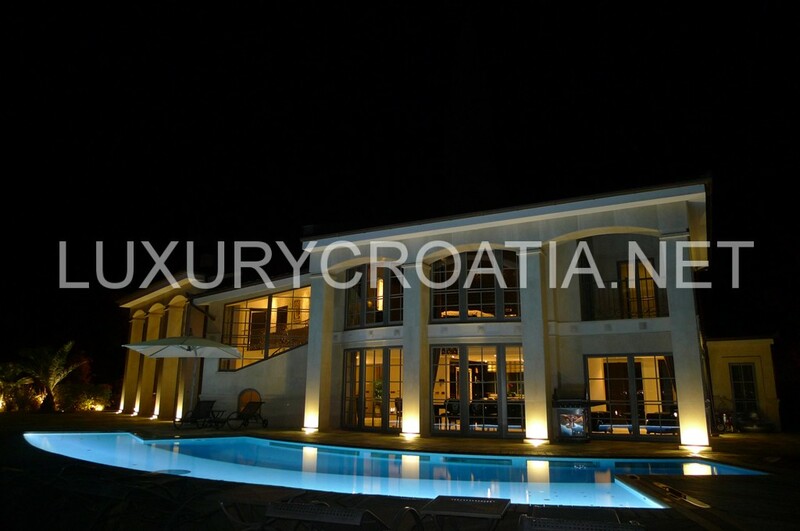 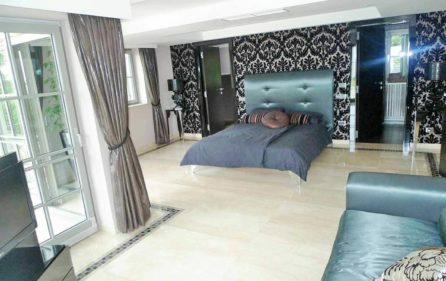 Large luxurious villa with pool for rent, Opatija. 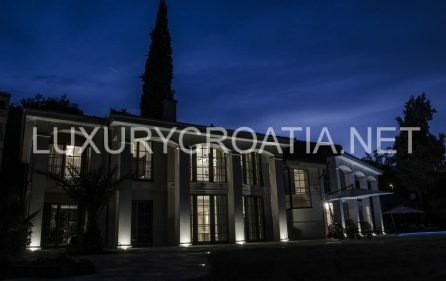 The Villa was constructed in 2010. 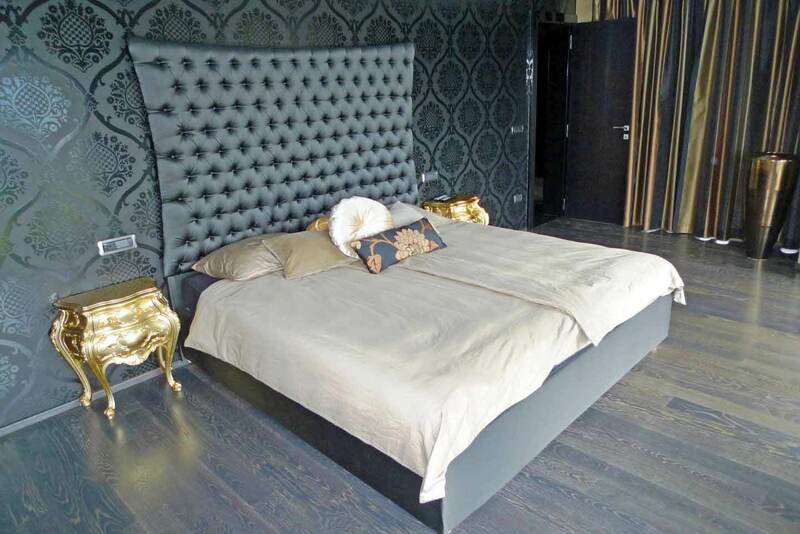 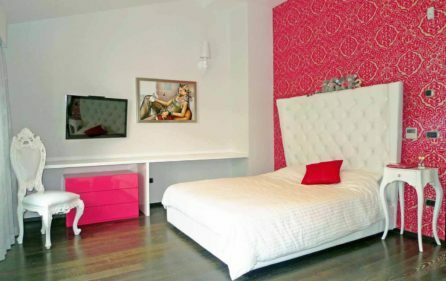 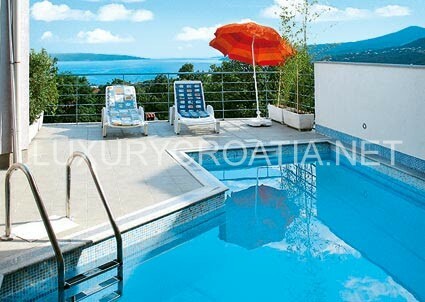 It is in a sunny and very quiet location with ocean view and beautiful night view of the Rijeka city. 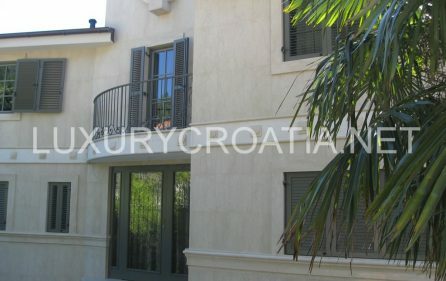 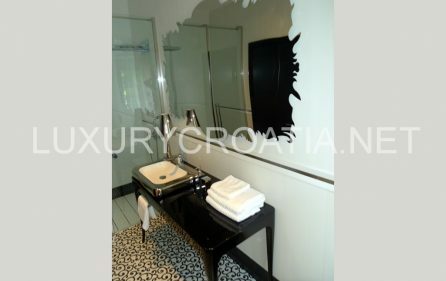 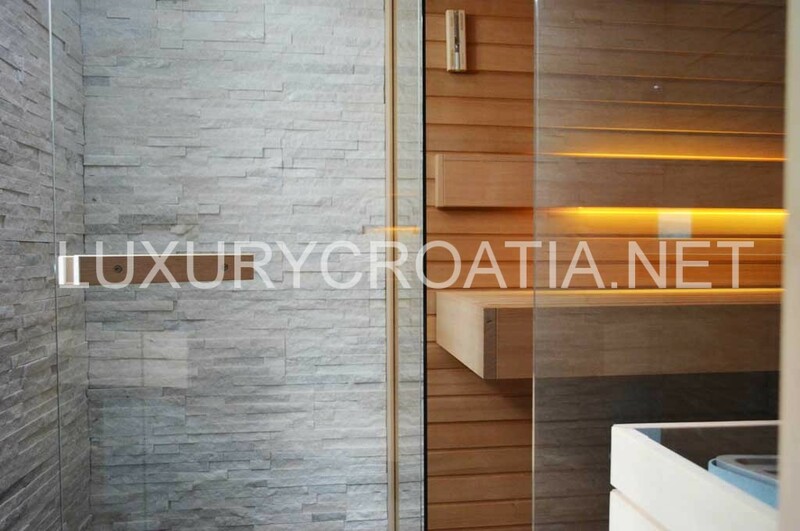 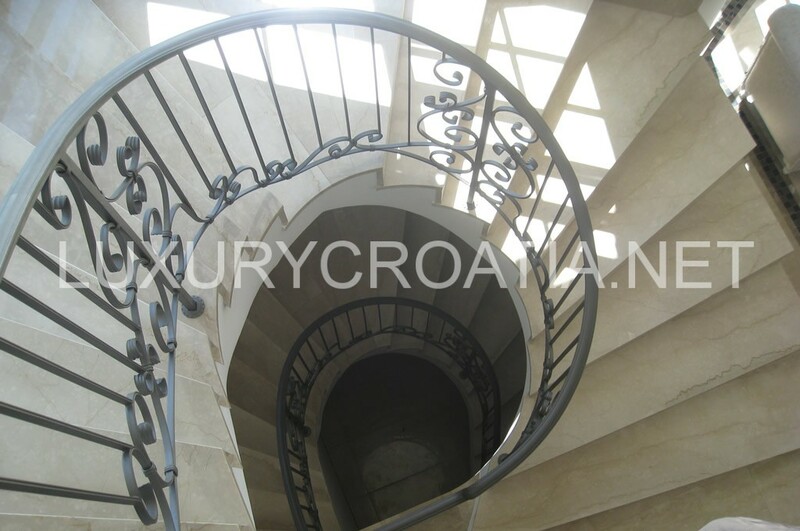 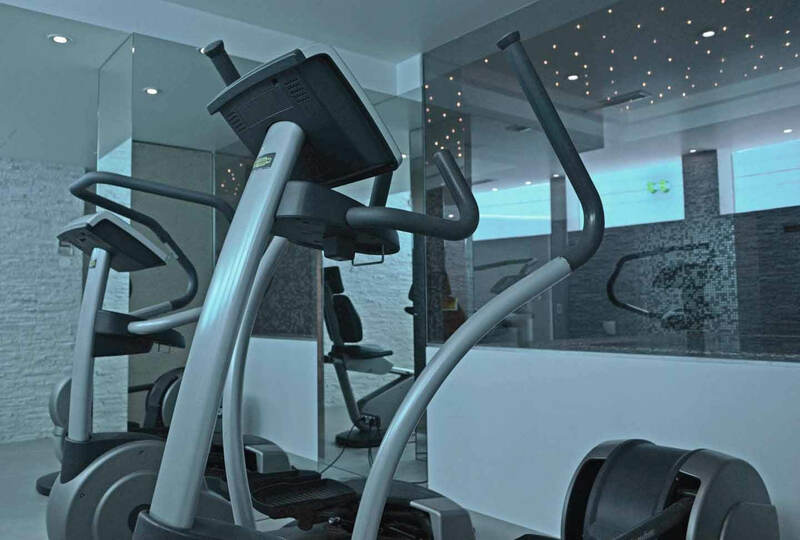 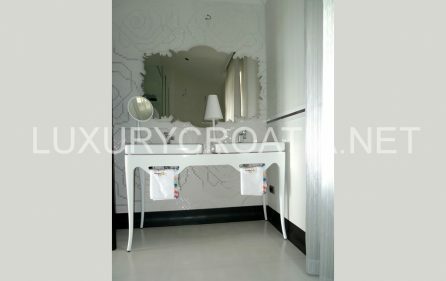 It is located only 200 meters away from the public beach, close to Opatija center and marina Icici. 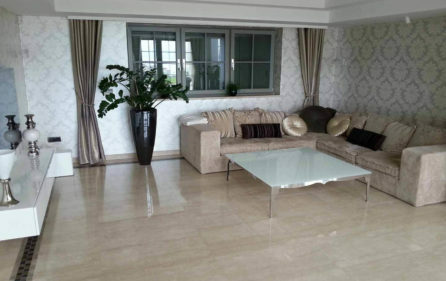 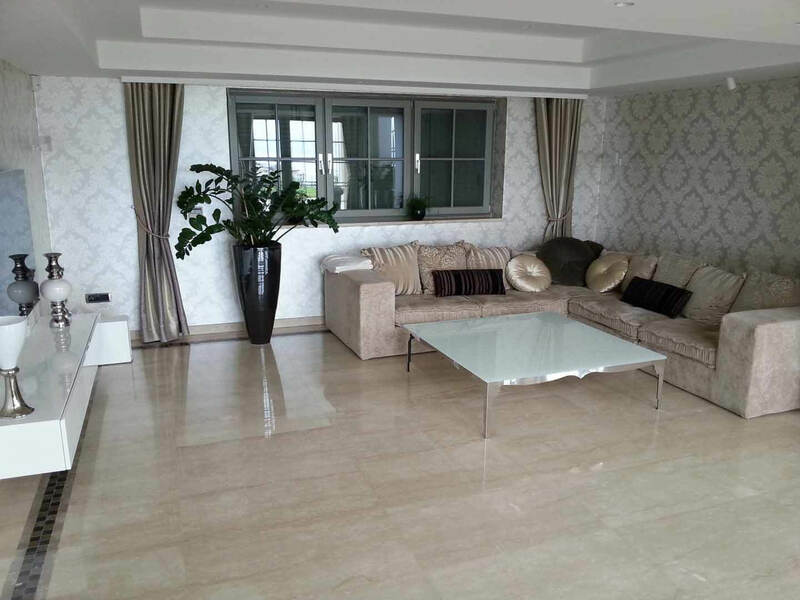 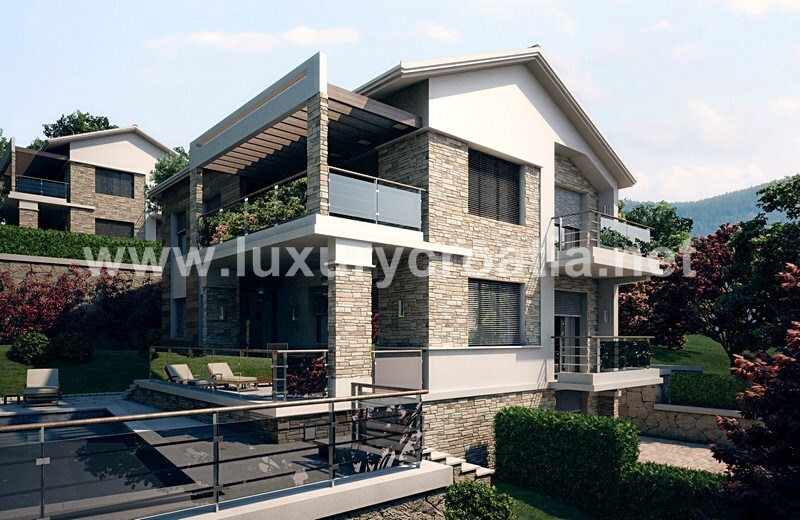 Living space of the villa is 650 square meters. 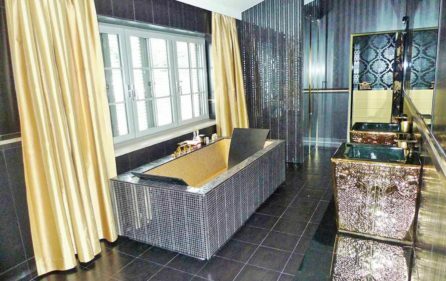 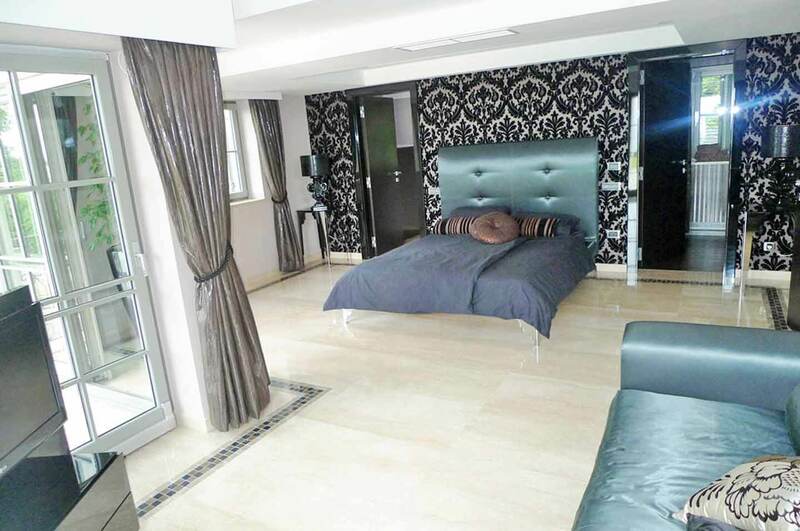 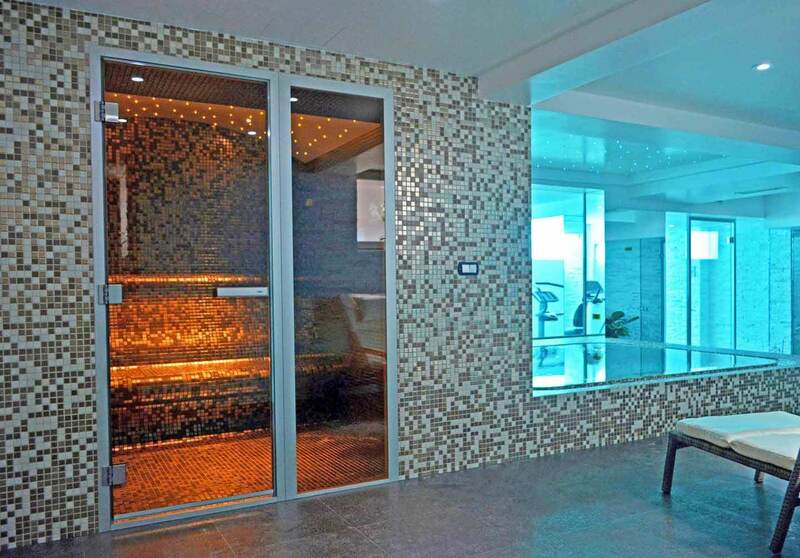 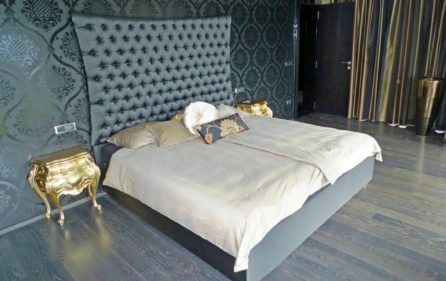 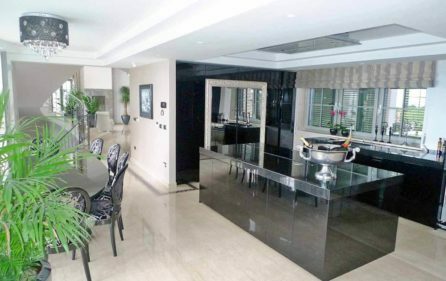 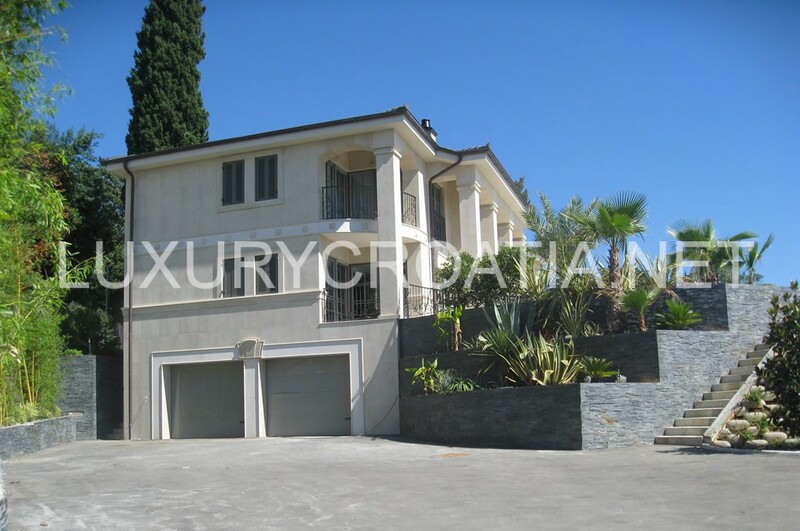 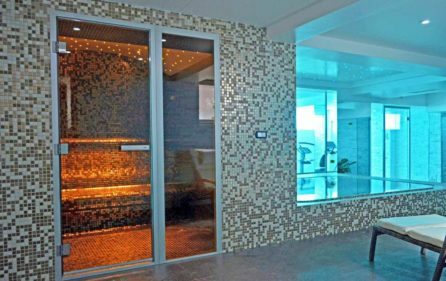 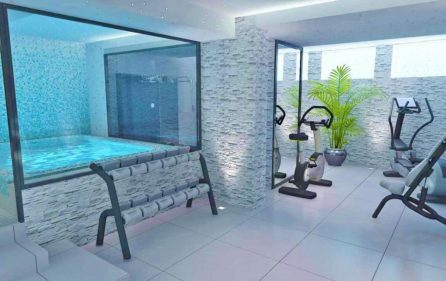 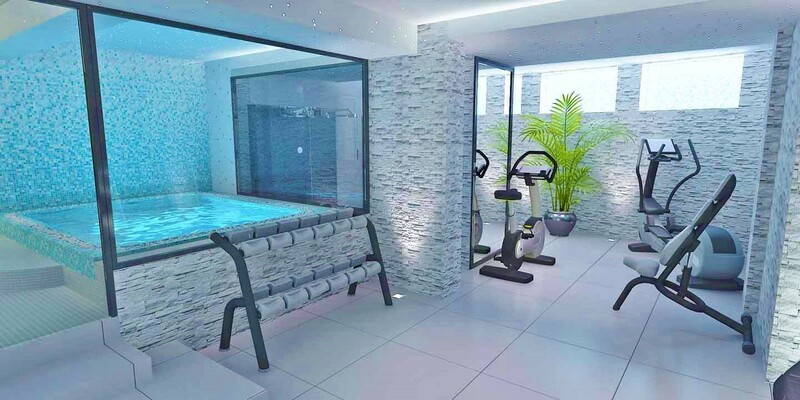 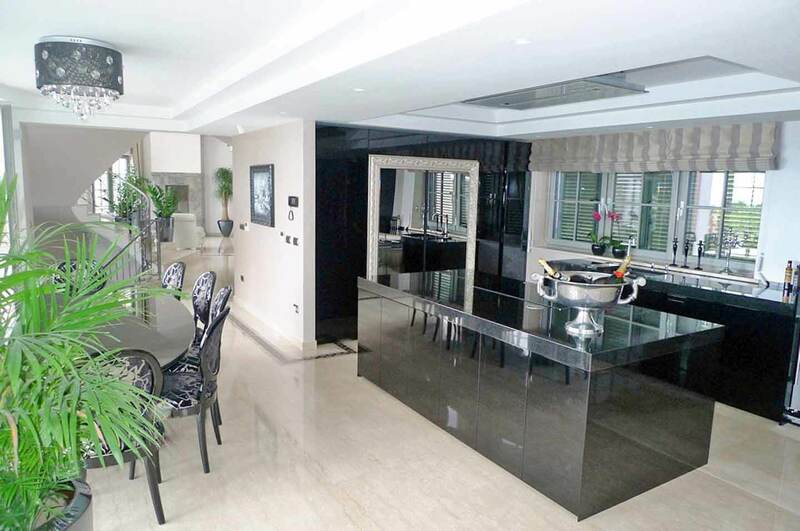 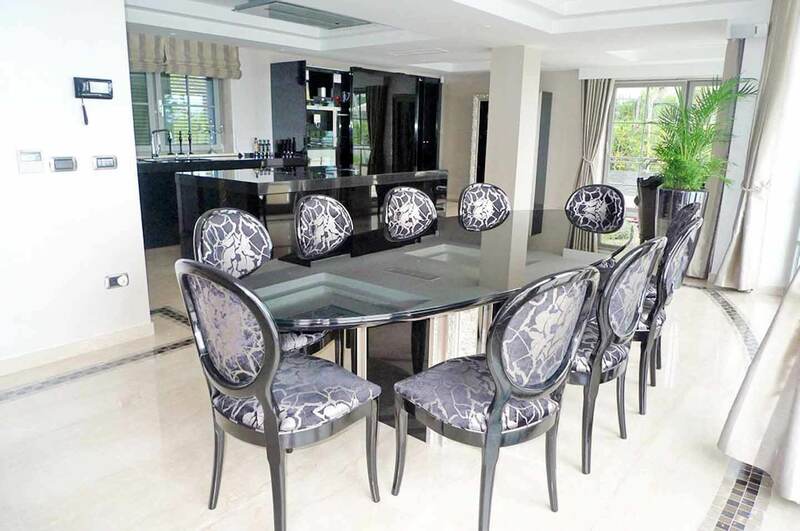 It has 4 bedrooms and 5 bathrooms, spacious wellness with aquarium style windows opening to 70 square meters large private pool, 2 saunas, big inside Jacuzzi, tanning bed, Wine cellar, 2 car garage, and big outside parking place and much more. 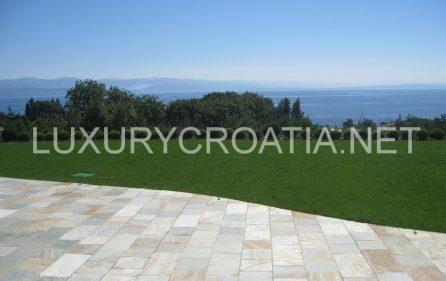 Opatija, this elegant tourist destination, lies at the center of the Riviera with the longest tradition of tourism in Croatia. 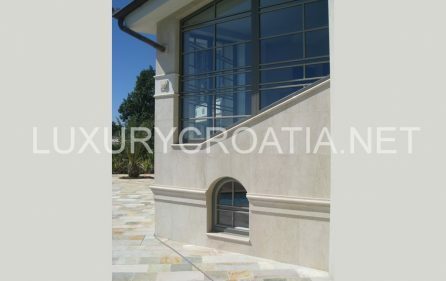 The very attractive geographic position, enabling its warm seas to be quickly reached from many cities in Central Europe (only about 500 km from Milan, Vienna and Munich), lush green scenery, and a pleasant climate (45° 20’ north latitude) were some of the main reasons for its beginning and the quick development of its tourism at the end of the 19th century. 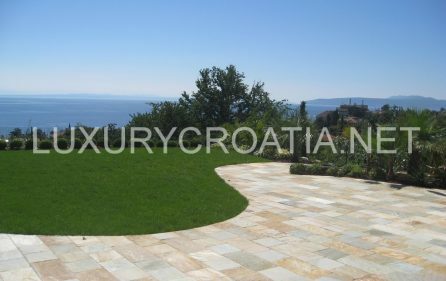 Built mainly at the turn of the 20th century, Opatija has remained in complete harmony with Nature right up until the present day. 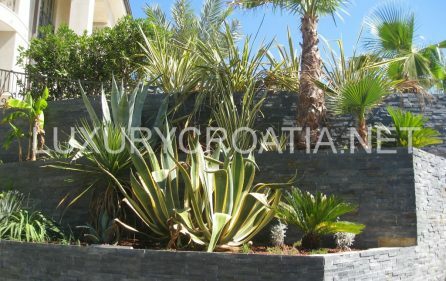 Well-maintained public gardens, the illuminated 12-km-long coastal promenade known as the “Lungomare”, well-kept beaches and fountains provide a stunning backdrop for the villas and hotels that cater comfortably for over 6,000 guests. 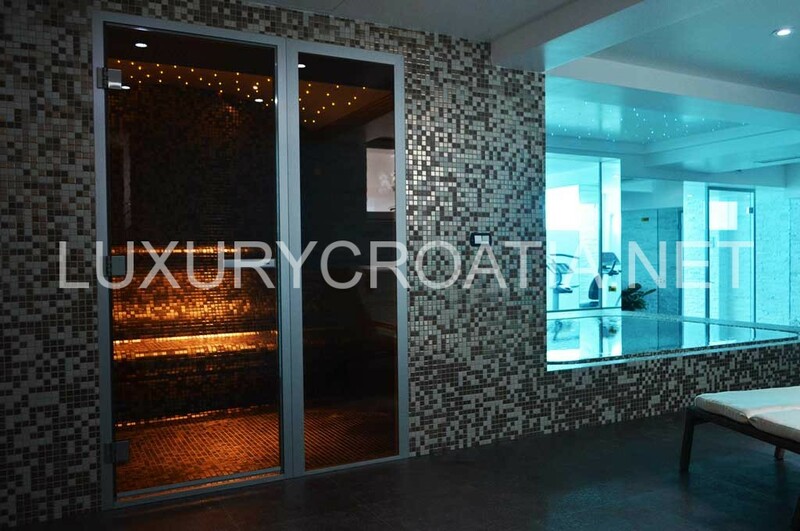 Due to a relatively constant temperature, high air pressure and constant circulation of air, the climate in Opatija is relaxing and refreshing. 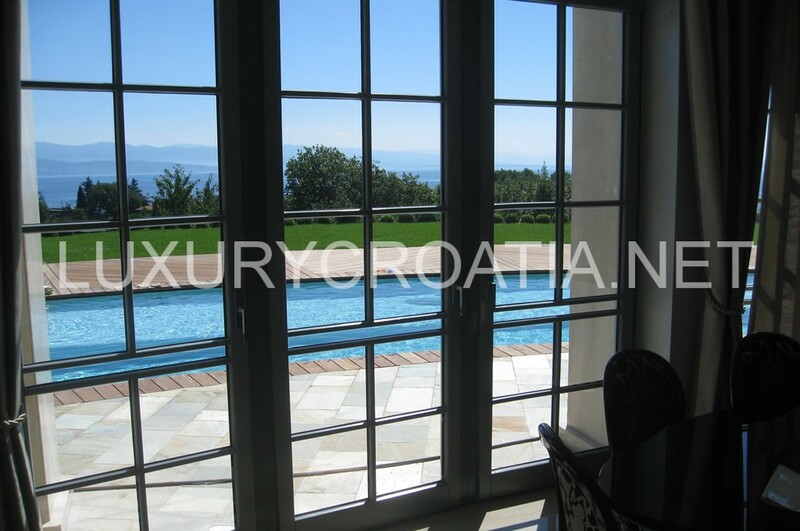 The contrasts of sea and mountains, green parks and blue sea, old buildings, and modern comforts, noisy entertainment venues, and quiet destinations for excursions all combine to make Opatija and its surroundings a very attractive tourist resort at any time of the year.